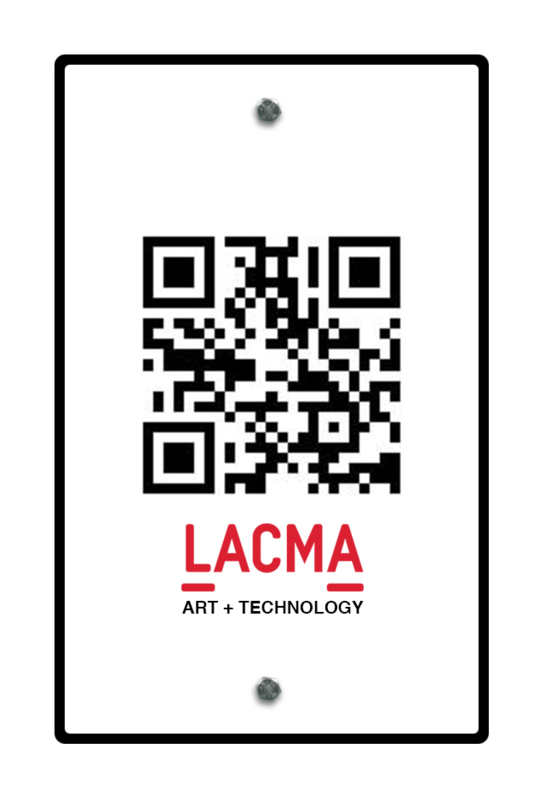 Inspired by the spirit of the Los Angeles County Museum of Art’s original Art and Technology program (1967-1971), which paired artists with technology companies in Southern California, the Art + Technology Lab at LACMA supports artist experiments with emerging technology. The Lab provides grants, in-kind support, and facilities at the museum to develop prototype projects. On April 9, 2014, the museum selected five artist projects to be developed during the inaugural year of the Art + Technology Lab. Chosen from a pool of over 450 submissions, the winning proposals sought to engage artistic practice with emerging technologies in aerospace, astrophysics, augmented reality, robotics, and more. Among the winning proposals was EEG AR: Things We Have Lost, by John Craig Freeman, a citywide virtual public art project, which draws on crowdsourcing, augmented reality, and EEG (electroencephalography) technology. Freeman work seeks to expand the notion of public space by exploring how digital networked technology is transforming our sense of place. In 2012, during the first iteration of this project at FACT in Liverpool, people were selected at random in the streets of the city and simply asked, “What have you lost?” The location was recorded and a series of virtual lost objects were created based on the responses given. The objects were then placed back in the exact GPS coordinates where the encounter took place, creating a citywide network of lost things, viewable on any mobile device. Video by Carl Davies and Mike Donaghy. 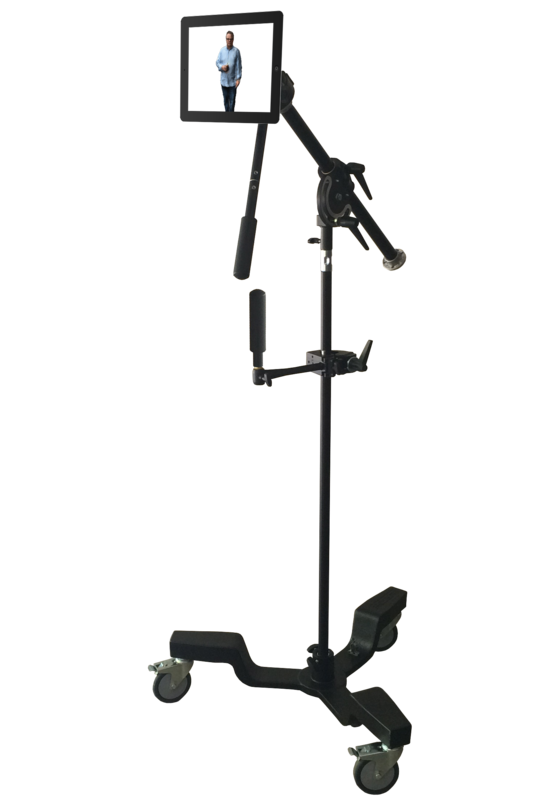 Versions of EEG AR: Things We Have Lost have since been produced in Coimbra Portugal for Mapping Culture: Communities, Sites and Stories, and in Basel for the Virtuale Switzerland. Each version of the project painted a unique, collective, cognitive map of the city, based on the responses of individuals in each city. Whereas, in Coimbra, people said they had lost their pensions, in Basel a group of boys agreed that what they had lost was time. The concept of the project was expanded and evolved in the version produced for LACMA’s Art + Technology. 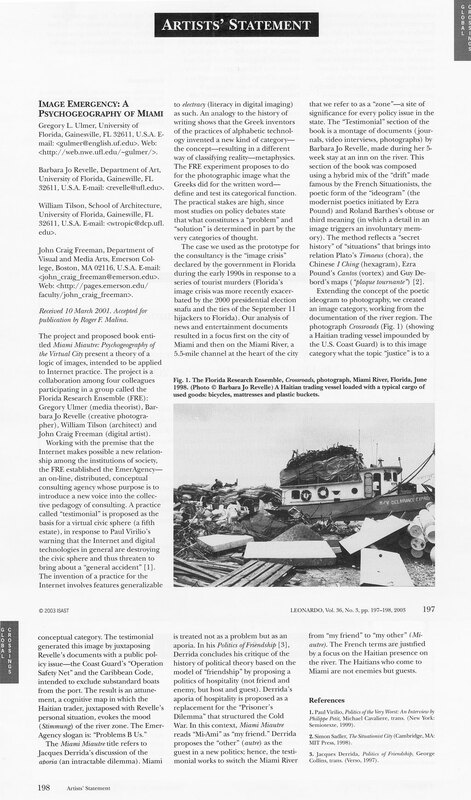 During the Spring of 2015, Freeman and his team of student research assistants from Emerson College interviewed people on the streets of Los Angeles about things, tangible or intangible, that they have lost. A database of virtual lost objects were created based on what people said they had lost, as well as avataric representations of the people themselves. The project consists of three parts, AR Viewings on LACMA Plaza, EEG AR Clinics and City Tours. Each are detailed below. 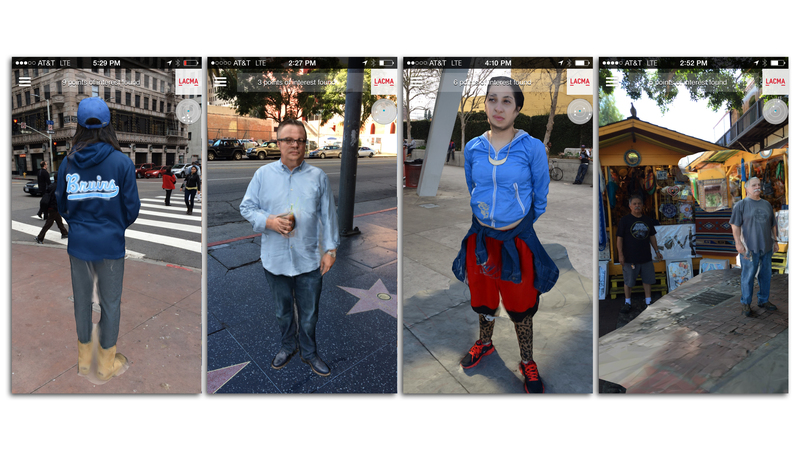 Photogrammetry avatar at Hollywood and Vine, August 14th, 2014. 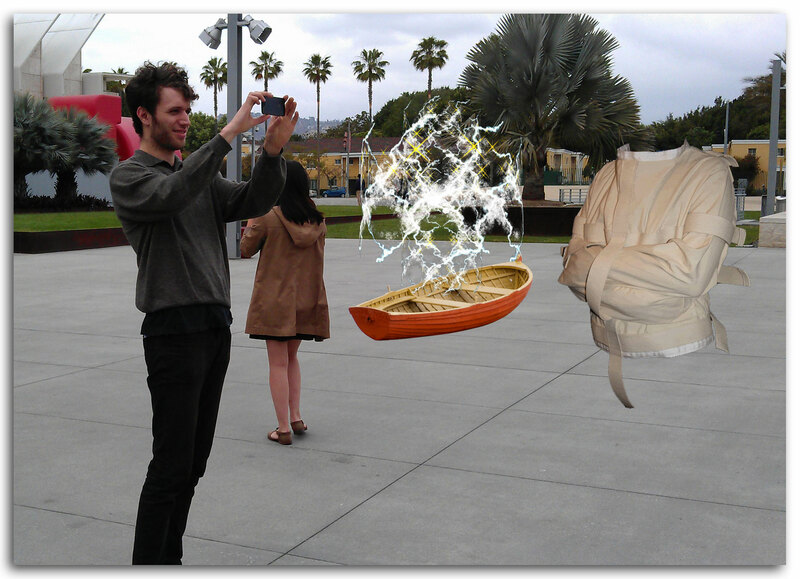 During the project, as virtual objects and scenes were created, they were placed out in the plaza area and other public spaces at LACMA for testing, and to engage the public in the project as it was being created. As the lighting softens in the late afternoon and people gather in these spaces, mobile augmented reality viewing devices were brought out so that people could wheel them around the plaza and experience the work in progress. Public viewing of work on LACMA’s plaza, February 12, 2015. 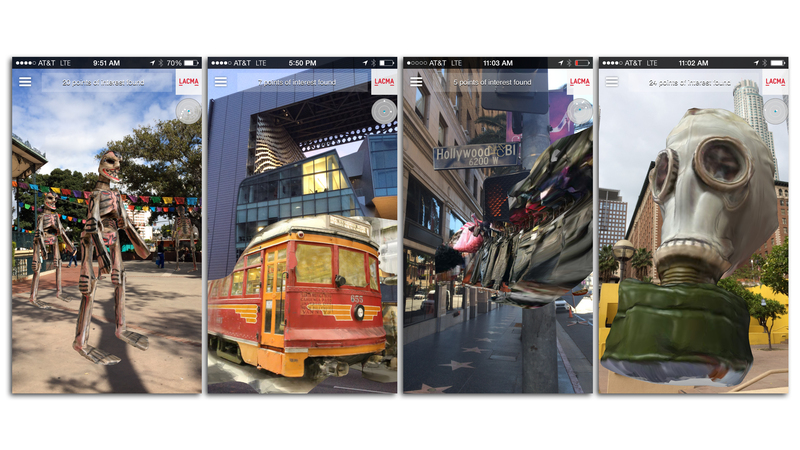 AR Viewing on LACMA Plaza, photo stream, February 12, 2015. AR Viewing on LACMA Plaza, photo stream, February 19, 2015. AR Viewing on LACMA Plaza, photo stream, February 27, 2015. 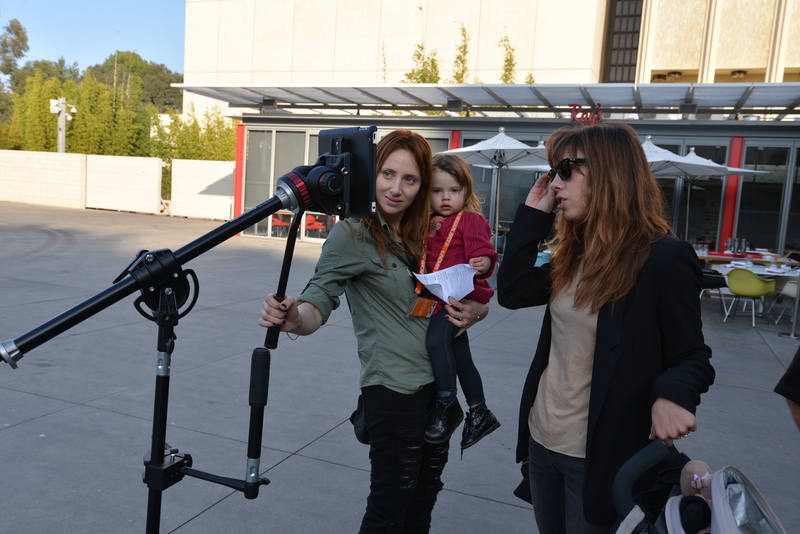 AR Viewing on LACMA Plaza, photo stream, March 22, 2015. EEG AR Clinic, February 14, 2015. EEG AR: Things We Have Lost also included experimental performances which took place in the Art + Technology Lab during the production of the project. 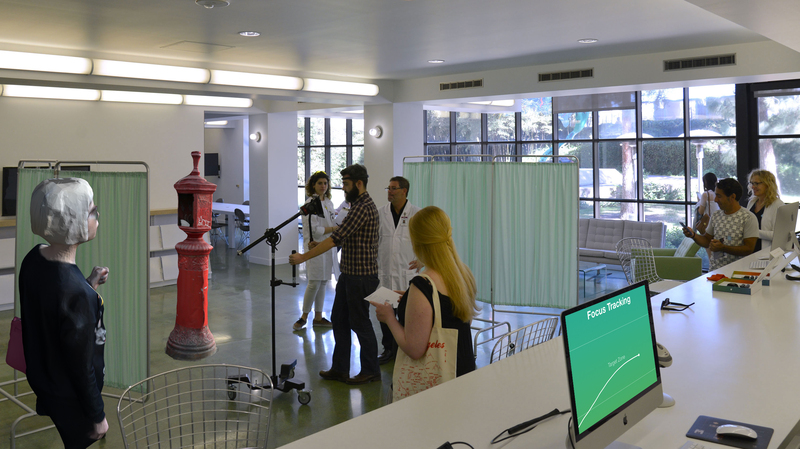 The lab space was transformed into a clinic-like installation and the public was invited. They were outfitted with EEG-reading brainwave sensors and ask to think deeply about what he or she has lost. Once the software detected a measurable and consistent pattern, it issued a database call to instantiate a virtual object selected randomly from the database of lost objects. The virtual object then appeared in front of the participant using augmented reality technology. Technical support was provided by DAQRI. Charles MacCarry using EEG to conger lost things at LACMA’s Art + Technology Lab, EEG AR Clinic, February 21, 2015, video by Lucianna Faraone Coccia. DAQRI’s technical team Eric Lundquist and Naveen Gunalan using EEG to conger lost things at LACMA’s Art + Technology Lab, EEG AR Clinic, March 21, 2015. EEG AR Clinic, photo stream, February 14, 2015. EEG AR Clinic, photo stream, February 21, 2015. EEG AR Clinic, photo stream, March 21, 2015. Once the virtual objects and avatars were completed and tested, they were put back in the communities across the city, where they belong. Self guided and specially scheduled tours took place in April, 2015. To view the work on location in Los Angeles, using any late model iPad, iPhone or Android, download the free Layar Augmented Reality Browser (http://layar.com) and scan this code. Touch each lost object to view a video of each individual reflecting on what he or she has lost. City Tours, Pershing Square photo stream, February 22, 2015. City Tours, MacArthur Park photo stream, March 3, 2015. City Tours, Hollywood and Vine photo stream, March 5, 2015. City Tours, Westlake/MacArthur Park Station photo stream, March 11, 2015. City Tours, La Plaza de Los Angeles and Olvera Street photo stream, March 13, 2015. City Tours, Farmer’s Market, photo stream, March 24, 2015. Screenshots of Lost Things, 2015. 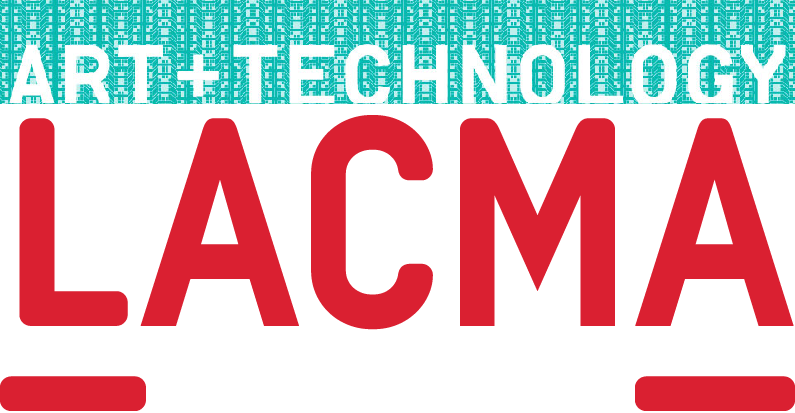 Art + Technology Lab Artist Portal LACMA, August 5, 2015. Art, Technology, and Collaboration, by Joel Ferree, LACMA Unframed, July 8, 2015. Artist Interview: ​Brain Sensing and Augmented Reality, by Desi Gonzalez, LACMA Unframed, December 6, 2014. Art + Technology Lab Artists Visit L.A., by Amy McCabe Heibel, LACMA Unframed, May 22, 2014. Announcing Art + Technology Lab Artist Grant Awards, by Amy McCabe Heibel, LACMA Unframed, April 9, 2014. Museum Plays Art and Technology Matchmaker, by Annie Minoff, NPR, Science Friday, August 21, 2015. 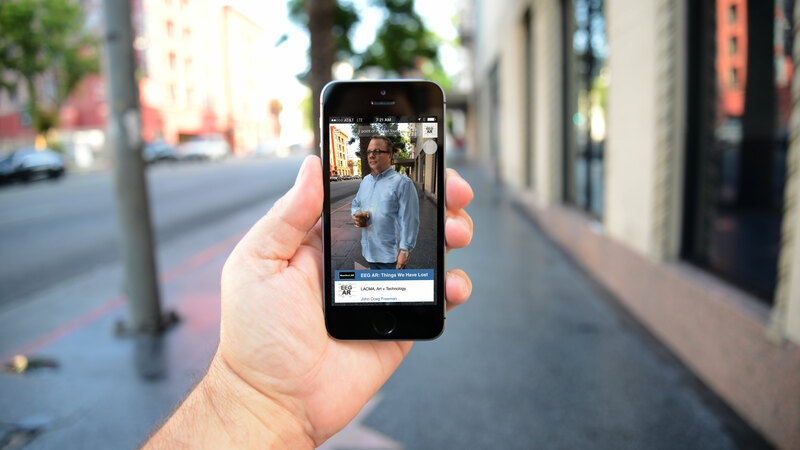 You can take an augmented-reality walking tour of LA’s lost objects, by Daniela Hernandez, Fusion, April 23, 2014. 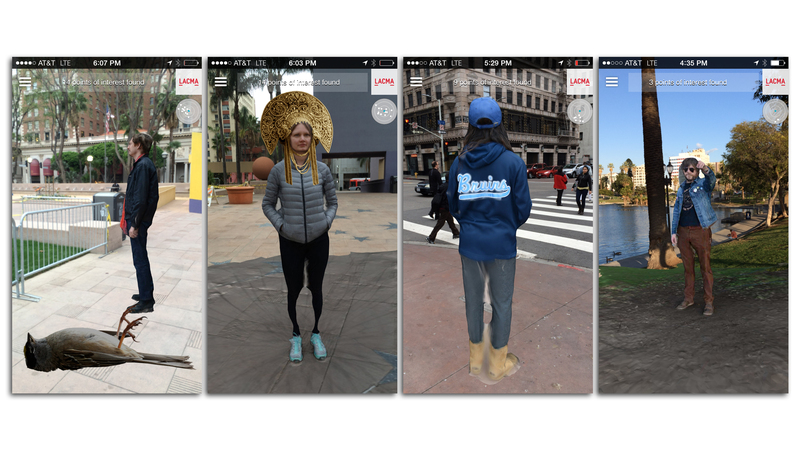 Find Your Lost Things In Augmented Reality—Using Brainwaves, by Tanja M. Laden, VICE, The Creators Project, April 13, 2015. Los Angeles Museum Grants to Promote Art and Technology, by Jori Finkel, New York Times, Arts Beat, April 9, 2014. LACMA announces Art + Technology Lab, with support from Google, SpaceX, by Andrea Chang, Los Angeles Times, December 10, 2013.